See below for a list of . The best way to help these cats is to establish a properly managed colony by the cats who are not adoptable, and finding homes for those who are adoptable or who have got lost and can be returned to their home. Then organize volunteers to provide food and fresh water for the colony on a daily or alternate day schedule. The volunteers and the cats will get to know each other. The cats will begin to appear as if by magic when they hear the sound of the volunteer's car pull up to deliver food! Yes. The Cat House on the Kings is a qualified 501(c)(3) tax-exempt charity. Our EIN is 27-0015288. Please note, however, that although donations are tax-exempt, in particular are not tax exempt. Most of our cats are rescued from the streets of the local counties (Fresno, Kings and Tulare). We receive dozens of calls a week from the public asking for help in saving the lives of kittens, cats, dogs and puppies they find. 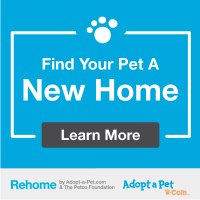 Since we are unable to accommodate the 100's of thousands of abandoned domestic pets, we offer and . As a rule we try to only take in the cats and kittens that we can adopt out. That doesn't mean that we don't end up with a few unadoptables or resident cats, but as a rule we don't take in more and more cats every year.